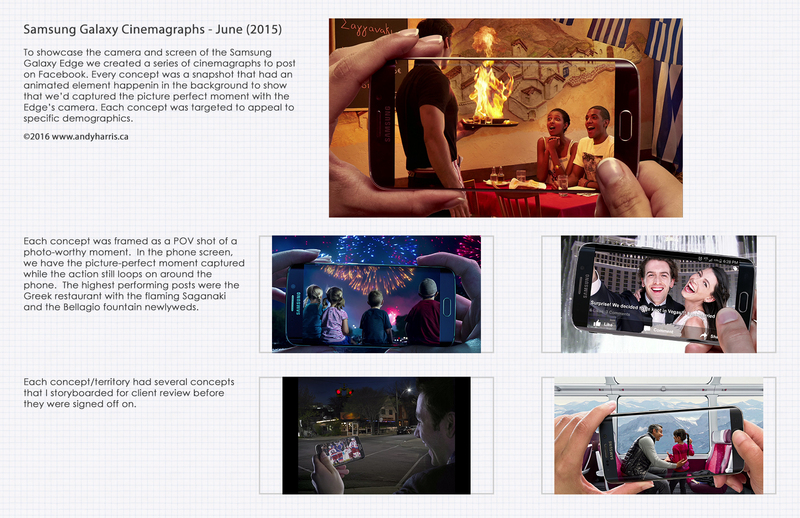 Samsung Galaxy Cinemagraphs – June (2015) To showcase the camera and unique screen design of the Samsung Galaxy edge, we created a series of cinemagraphs to post on Facebook via the Rogers account. 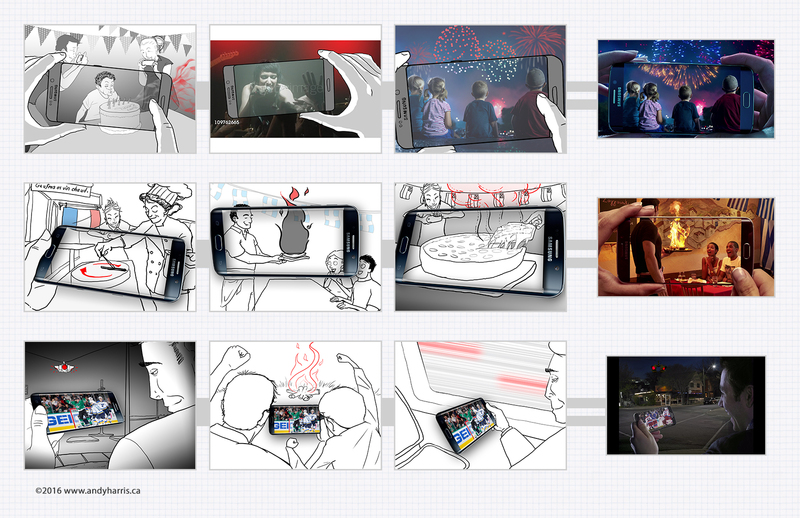 Every concept was a snapshot that had an animated element happening in the background to show that we’d captuted the picture-perfect moment with the Edge. Each concept was targeted to appeal to specific demographics. 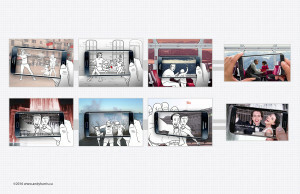 Each concept was framed as a POV shot of a photo-worthy moment. In the phone screen, we have the picture-perfect moment captured while the action still loops on around the phone. The highest performing posts were the Greek restaurant with the flaming Saganaki and the Bellagio fountain newlyweds. 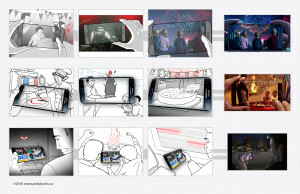 Each concept/territory had several concepts that I storyboarded for client review before they were signed off on for production.